The fun begins with a guided tour of the farm at 3:30 pm, dinner is served at 5:00 pm followed by a lively drum circle around the fire and under the stars. Drums are provided but feel free to bring your own. If it rains we will play under the shelter of the pavilion. Elizabeth Germain is more than a Private Chef to the rich and famous. For over 25 years, Elizabeth has led a culinary crusade - exploring and redefining our relationships to our food, our land and our well-being. 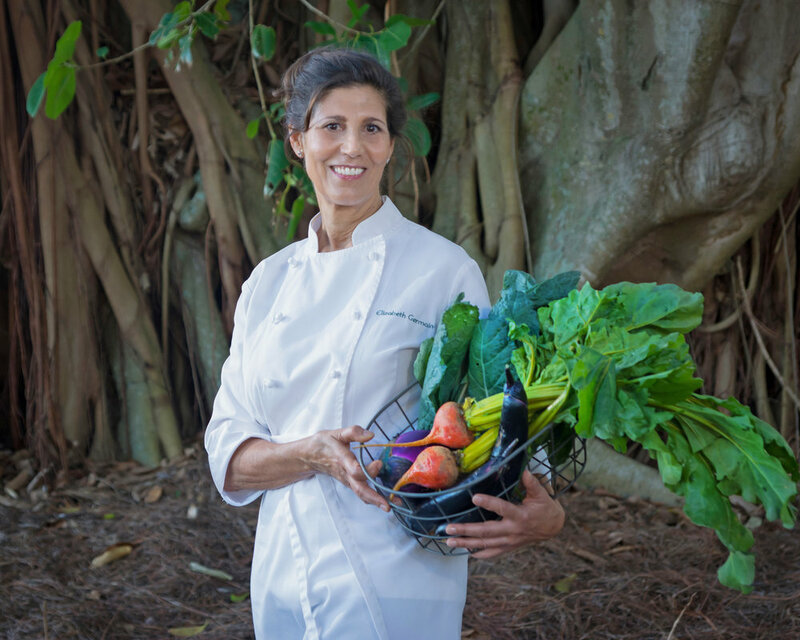 As an activist, chef, teacher and writer she vitalizes the connections between whole food and the earth, nourishment and healing, eating and sensation.